Deezer has acquired award winning radio app Stitcher to provide access to the best in entertainment and talk radio – including NPR, This American Life, Freakonomics, Wall Street Journal, WTF with Marc Maron, Savage Lovecast, BBC, CBC, RTÉ and more. 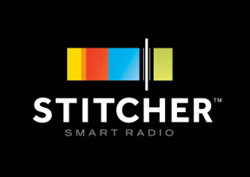 Stitcher is the leading on-demand internet radio service that features news, entertainment, comedy and sports radio. By giving you access to 35,000 radio shows in addition to 35 million songs, Deezer will bring you the talk as well as the tune. Next year Stitcher will be integrated into Deezer, so you’ll be able to experience your favourite talk shows and podcasts whenever, wherever. We’ll also make sure to recommend shows that we know you’ll like, helping you to discover more gems like Nerdist, The Moth or Slate.com’s Culture Gabfest. Today, we’re pleased to announce we’ve been acquired by Deezer, the first truly worldwide digital music streaming service available in over 180 countries, with 16 million monthly active users. Deezer loves audio as much as we do and strongly believes in our mission to deliver a world class listening experience. First things first: Stitcher isn’t going anywhere. We will continue to support and improve the app, and your listeners will still be able to hear your show on Stitcher the way they always have. Additionally, it is our goal to help you reach audiences not just on Stitcher, but around the globe as we work with Deezer to introduce spoken audio into their products. We’ll continue to provide you with timely updates as we work on new features and integrations. Together with Deezer, Stitcher will be able to accelerate the growth of our platform and the audience for your shows. We are dedicated to continuing to work hard to build an industry standard set of tools for our content partners and create the best listening experience in the world. It looks like little will change in the short term for podcasters who are distributing thru Stitcher. It’s too early to say what this acquisition will mean for the future of Stitcher as a podcasting platform. Presumably, Stitcher will eventually be rolled into Deezer to expand Deezer’s functionality as a streaming-media player. This acquisition is similar to another transaction that made podcasting news earlier this year, when Apple purchased Swell. But unlike with that deal, no specific terms of the Stitcher acquisition have been made public.